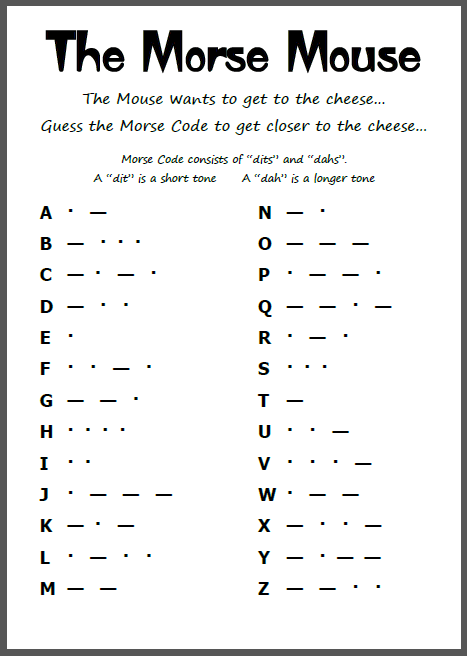 The Morse Mouse came about as a way to demonstrate Morse Code to youngsters (and the young-at-heart) at local club events – and not just sit there playing radio all day, but actively enouraging the public to learn about communication methods, understand that Morse Code is still used – and rather fun, too! 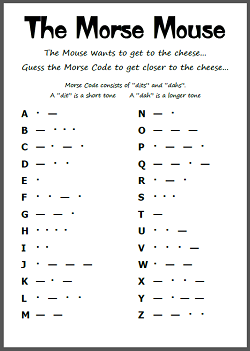 By sending a series of letters in Morse Code, the program aims to encourage an interest in the mode through skill as well as memory. The program simply picks a random letter and records the key-stroke (or button press) to determine what letter is being entered. There are additional intro, winner and loser sound-effects, too. A laminated A4 crib-sheet is provided to assist with the decoding of each letter and before somebody starts to play – it should be explained to them what and how a Dit and Dah each sound like, the difference between them and perhaps a bit of history about the mode (telegraph, reliability vs distance over voice comms, HMS Titanic SOS etc). 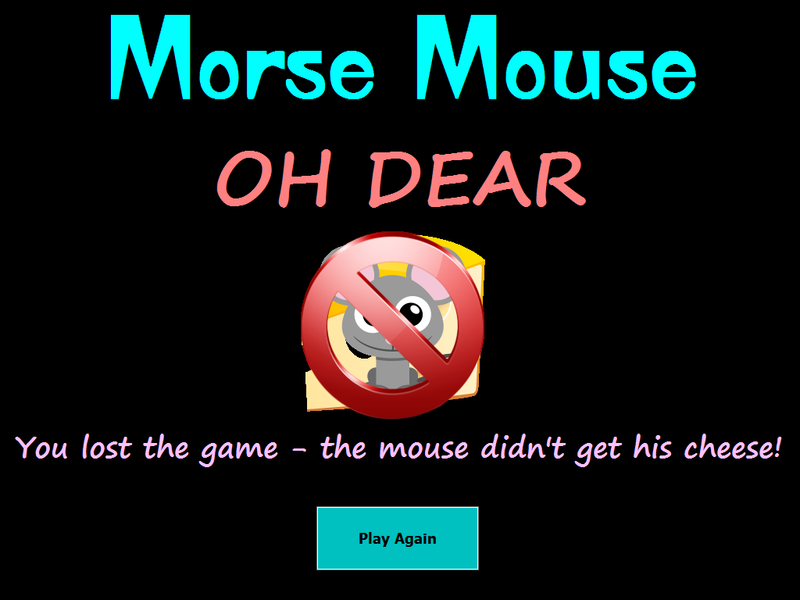 Learning Morse? This is NOT a code learning application and doesn’t claim to be – it is designed for events/demos (and youngsters) so if you want to learn CW “properly”, there are much better applications out there for that purpose (like a Koch trainer). The program is FREE and can be used by clubs/individuals at any Amateur Radio event. The user is given 5-10 seconds to press/type the letter being sent in Morse. 3 “lives” are offered to guess correctly with a repeat sending of the character if guessed incorrectly. 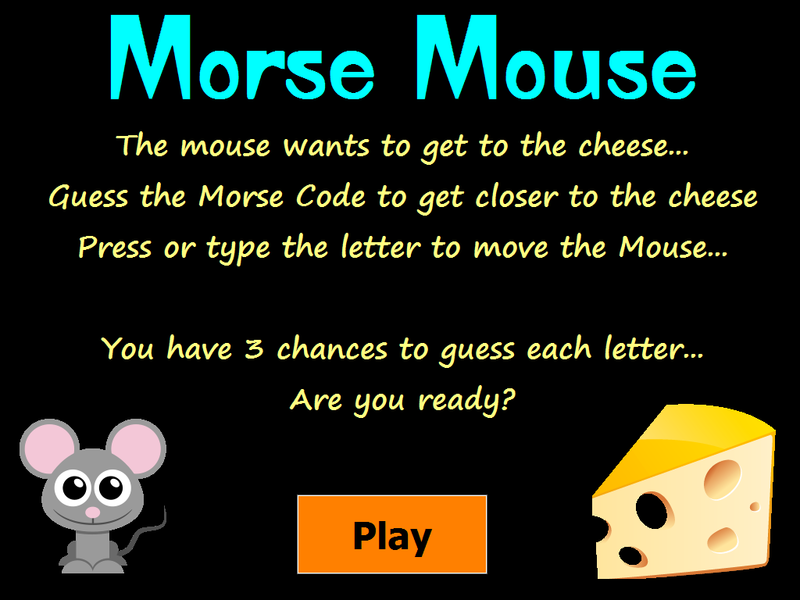 When all 3 lives are used, the mouse moves backwards (away from the cheese). 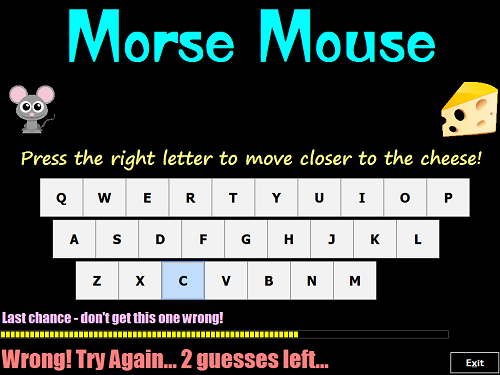 If correct, the mouse gets closer to it. The quicker you are at guessing, the higher your final score will be! 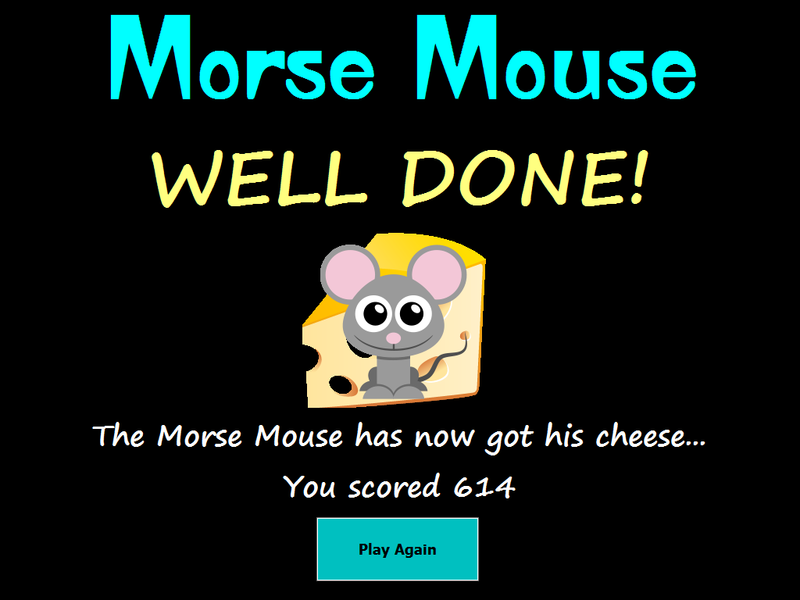 The application is currently “Windows” based and can be used with a keyboard as well as a touchscreen – This makes it a bit more “fun” and tests using a touch-panel (and a younger family member) have been encouraging. Some refinements to the gameplay/rules will be taking place and I will probably add a Settings window to allow you to choose the sound device and alter the timer that determines how long you have to guess. So far so good!